If anyone feared that our days at sea might be, well, a bit too serene, we’ve just discovered that shipboard life is full of the unexpected. 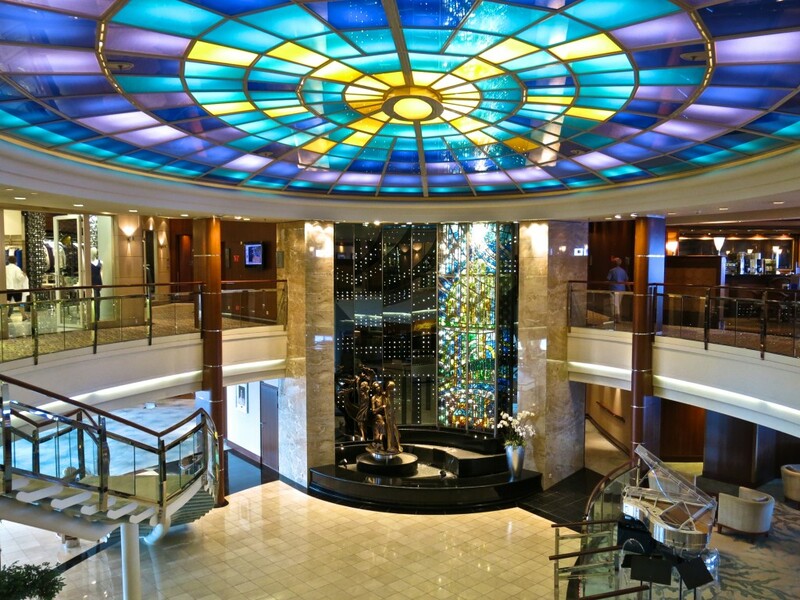 Perhaps they should consider rechristening the boat the Crystal Surprise. 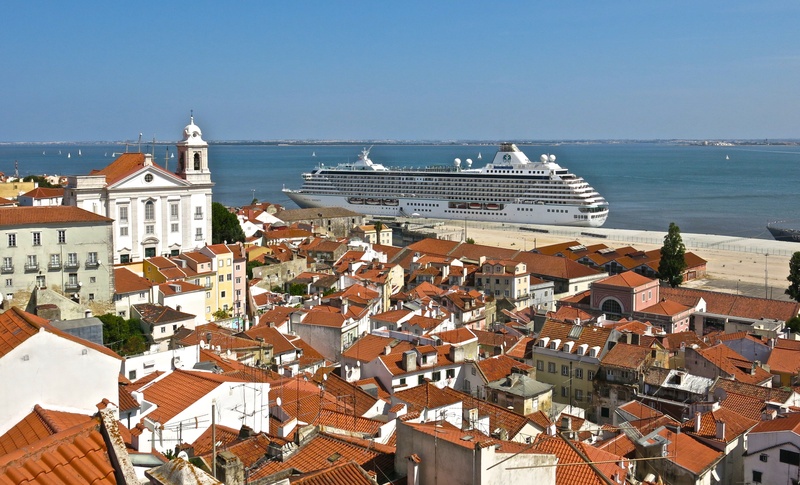 My decision to come aboard Crystal’s 10-day, all-inclusive “European Embrace” voyage was largely influenced by the ports of call, which read like a “best of” list of European cities. 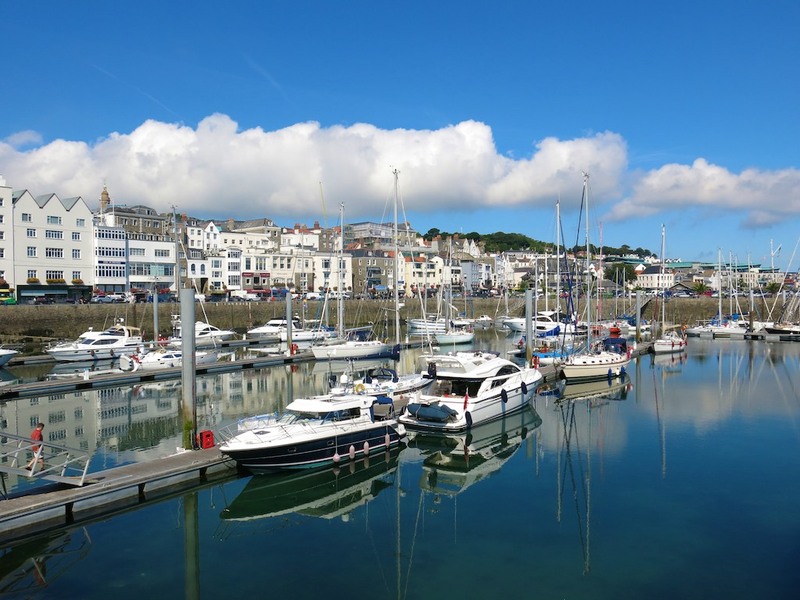 Beginning in Dover, England, we first sailed to Guernsey, a sunny little sliver of an island, best known as the setting for the novel “The Guernsey Literary and Potato Peel Pie Society,” about the German occupation during World War II. We still have Bordeaux, Lisbon, Cadiz and Seville, and Barcelona on the horizon. I was also seduced by the promise of unparalleled luxury. 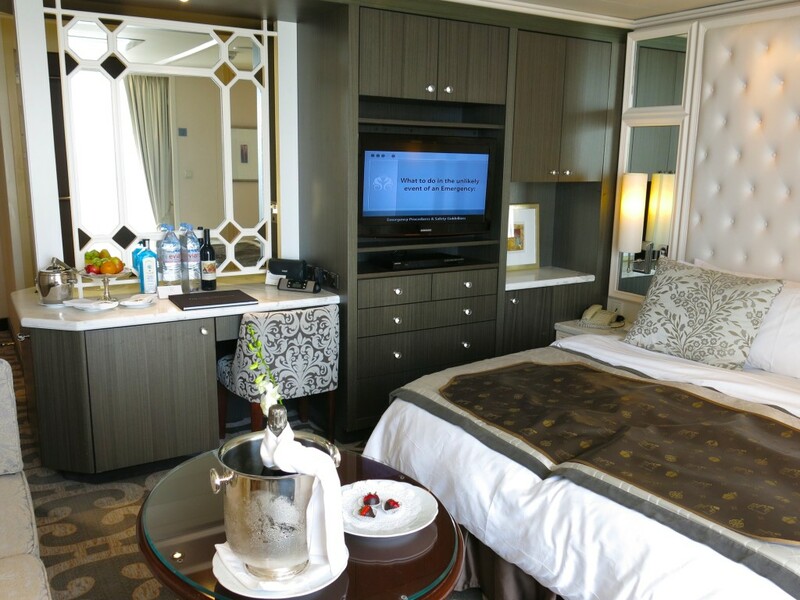 The 1,070-passenger Crystal Serenity offers one of the largest space-per-guest ratios in its class, and eighty-five percent of rooms include a verandah. So what does being “butled” entail? Well, your man will pack and unpack your steamer trunk (or suitcase) upon request, make reservations in the ship’s two specialty restaurants (Nobu’s Silk Road and the Italian Prego), set up shore excursions, salon and spa appointments, offer nightly nibbles (I’m referring to food here, people), and even arrange a private cocktail party in your quarters. Basically, it’s the full “Downton Abbey” experience, minus the soap-opera intrigue. Crystal Serenity’s Crystal Cove serves as the ship’s stunning centerpiece and main gathering area. 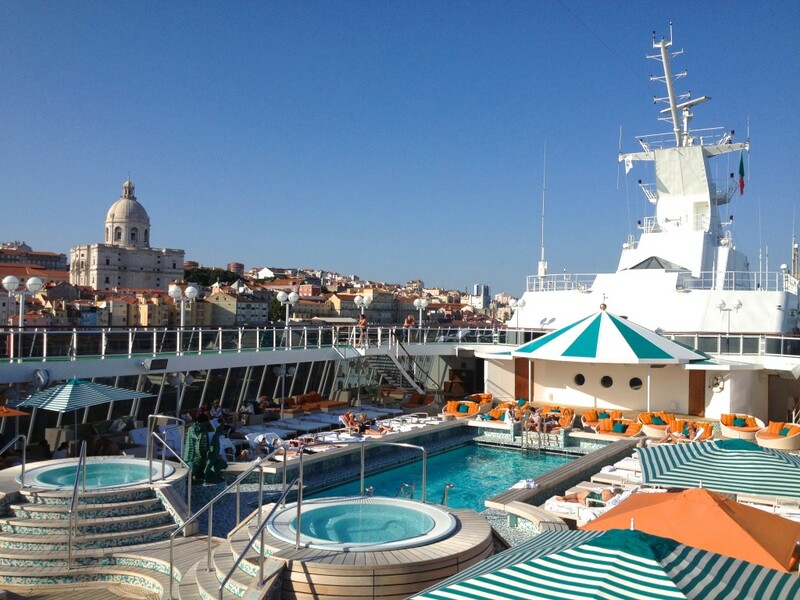 It’s tempting to simply remain aboard the ship, with something going on nearly every hour of the day. There’s ballroom dancing, art and computer classes, movies, Broadway-style shows, live music, a disco, and guest lecturers. My favourite is former FBI criminal profiler Clint Van Zandt. Without him, I’d never have known that the best way to remove your fingerprints is to soak them in a mixture of pineapple and papaya juice. (One day, this information may come in handy). 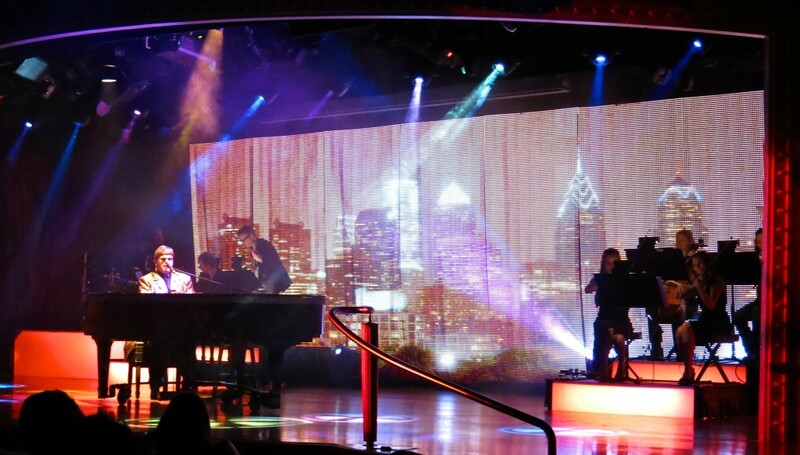 An Elton John impersonator aboard the Crystal Serenity looks and sounds amazingly like the Rocket Man himself. But who can say no to Bordeaux? 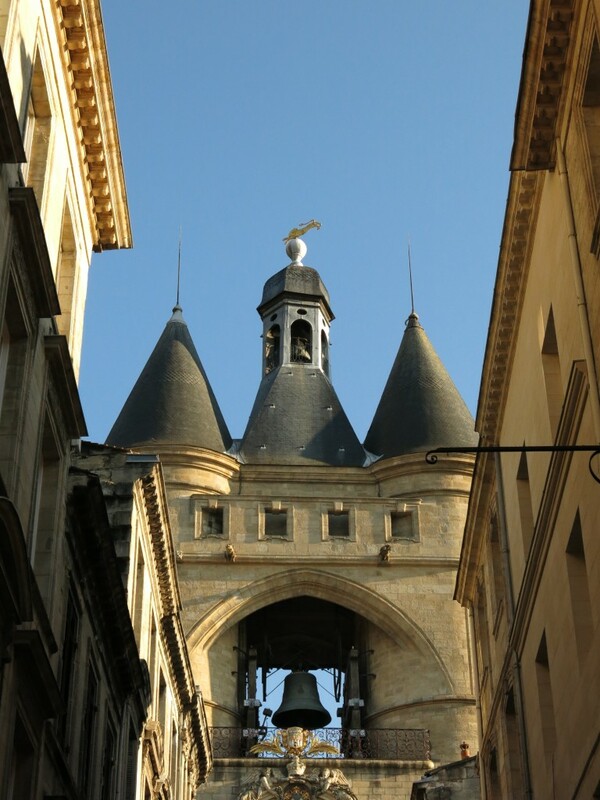 Arriving on our third evening, my companions and I wander the cobblestone streets of the chic left bank with guide Christine Birem, who points out the city’s most prominent landmarks, like a lion-shaped weather vane atop the Grosse Cloche (the Big Bell). “When his head is turned towards the river, he will drink and the weather is fine,” Birem explains. “When he turns his tail towards the river, he pees in it, and it will rain.” Alrighty then. The Grosse Cloche, with its incontinent lion weather vane. The town is full of cafes, like the shabby-chic L’Apollo on Place Fernand LaFargue, where university students sip their coffee and cocktails outdoors with insouciance, having noted the lion’s good humour. 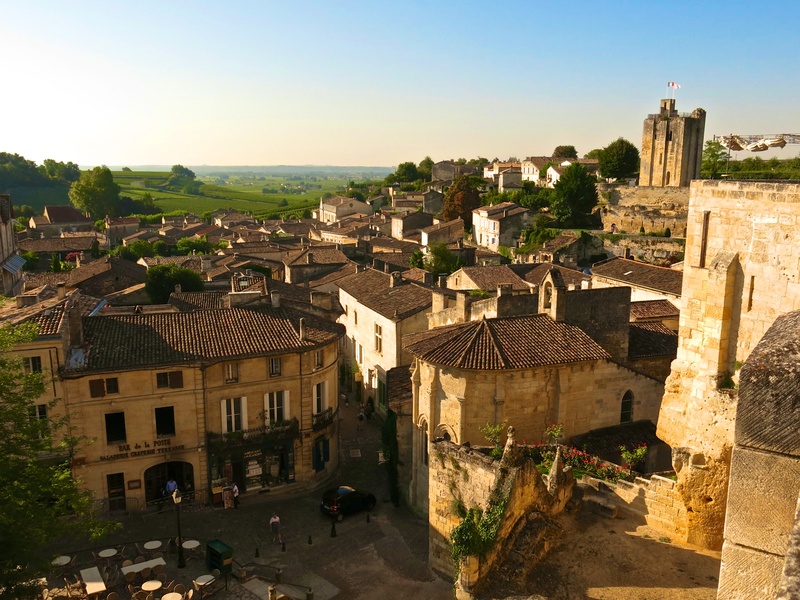 With fine French wine flowing through your veins, it’s hard not to relax and enjoy the scenery, especially in the gratuitously lovely St. Emilion, which we visit the next day. Cascading down a steep slope, it’s like a vision by M.C. Escher rendered in golden stone, with its famous vineyards sprawled out beneath a blue sky beyond. 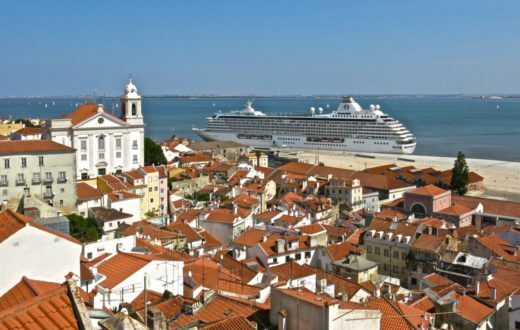 The city that comes as the biggest surprise is Lisbon. I had no expectations, but surveying the sunlit hillside city from Serenity’s deck on the morning of our arrival, I’m in love before I even set foot off the boat. Rua de Augusta, a broad, tessellated boulevard, is the main shopping street. Shouldering through throngs of ladies laden with bags, on your left you’ll find the Elevador de Santa Justa, which transports passengers to the streets above. I take a more circuitous route (which is to say, I get lost), wandering the Alfama neighbourhood, where laundry lines hang like bunting overhead and women chat to each other from their windows. 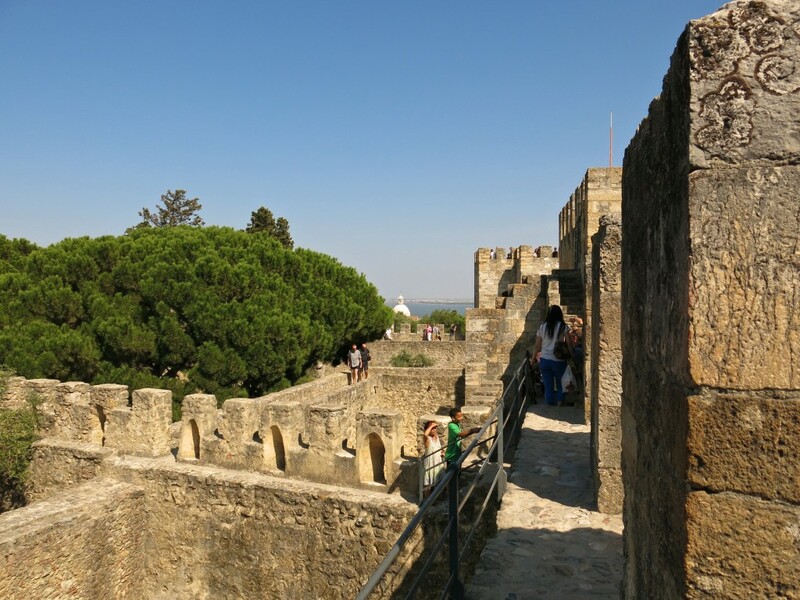 The prize is the Castelo de Sao Jorge. I roam the romantic ruins of the castle walls for hours, taking in panoramic views of the city below. 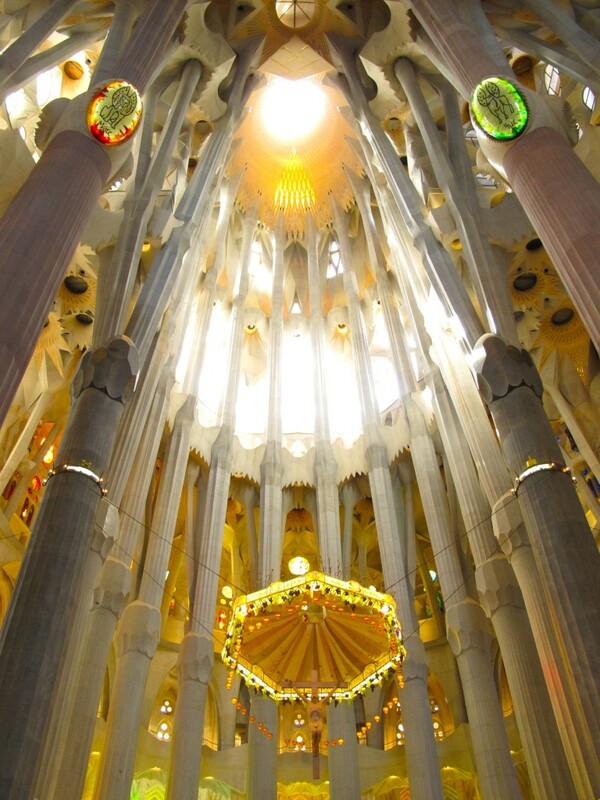 Saving perhaps the best for last, our final port is Barcelona, a city that redefines the notion of “surreally” beautiful, thanks to the fanciful architecture of Antoni Gaudi. 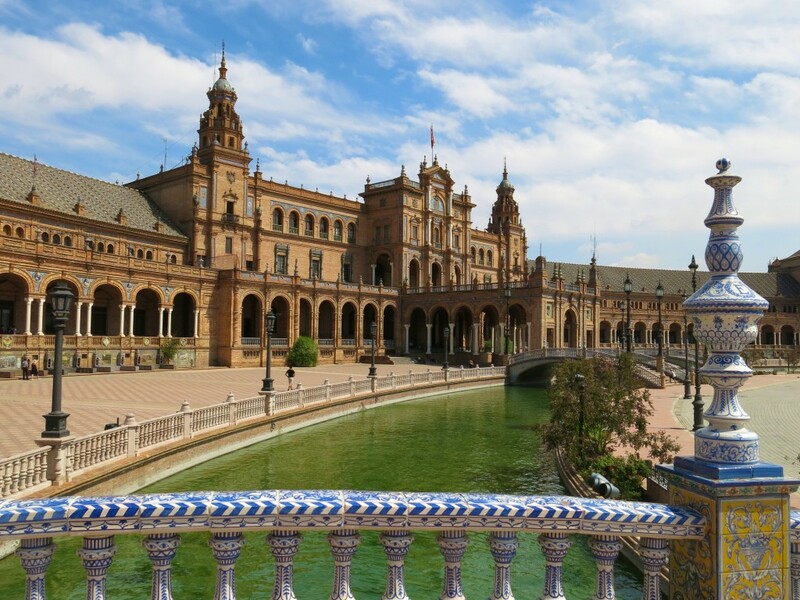 His masterpieces include La Sagrada Familia, an unfinished cathedral that resembles a dripping sand castle, the mosaic-encrusted Parc Guell, La Padrera, and Casa Batllo, with “bones” and Mardi Gras-like masks adorning its facade. 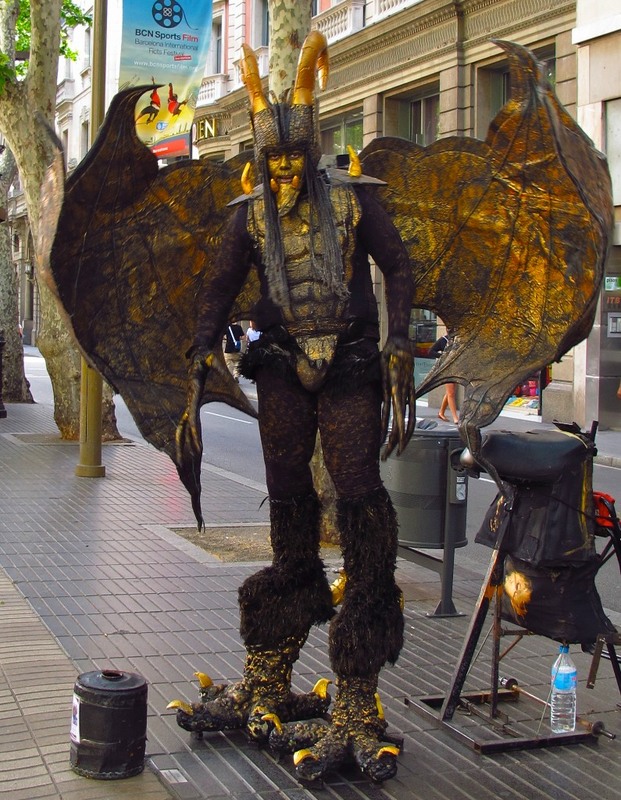 After I’ve got my Gaudi on, I take a stroll along La Rambla, which buzzes with tourists, vendors hawking flowers and souvenirs, and some of the world’s most outrageously clad street performers. I cap my visit with a pint at El Bosc de les Fades near the Museu de Cera (wax museum). Gazing around at its fairytale-like grottos and twisted trees, their twiggy fingers seemingly poised to pluck me from my perch near the bar, I fear the week’s exertions may have taken their toll on me. Time to retire to the boat, methinks, for a final evening of sweet Serenity.